Living in Southeastern Indiana, most our winters were relatively mild. A normal winter would consist of maybe two feet of snow spread over the entire season and a couple of weeks of zero weather. The rest of the winter would be cloudy and dreary, with highs just above freezing. 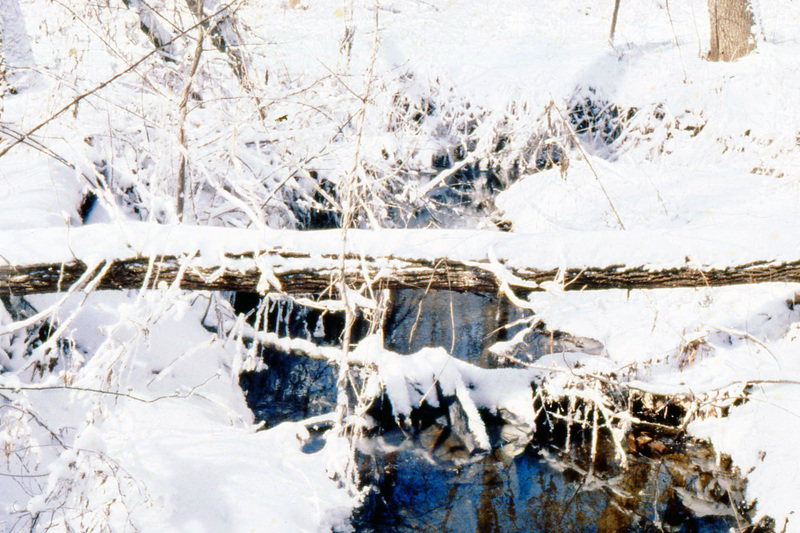 Starting in 1976, we experienced three increasingly several winters, with the grand daddy of them all in 1978 . The winter started out innocently enough with a fairly mild pre-Christmas period. I remember thinking that this winter would probably see little or no snow, since the previous two had been so severe. Boy was I in for a rude awakening! Everything went well until the third week in January, which is notorious for blizzards and bad weather. The week-end saw blizzard warnings being posted on TV and radio, however as is often the case nothing develops and not much attention is given to them. Things changed on Sunday as the first wave of snow descended upon us. Over two feet fell in a short period of time and coupled with high winds, our world was paralyzed. I had been working for UPS for 9 years and this was the first day that nothing moved. Most of the roads had been cleared so things were better Tuesday, life was kind of back to normal. Then the warnings kept coming, a major blizzard was on it’s way . The weather service was predicting several feet of snow . Most thought we couldn’t have two blizzards in a week, however as the sun sat on Wednesday it became apparent that something major was in the making. The wind had turned to the northwest and the temperature dropped. Soon the snow was falling faster the stock market in ’29. Looking out my front window and seeing nothing but snow, it was evident we were in for the “big” one. UPS and it’s drivers had the attitude that we could handle anything and weather couldn’t stop us. We had never had a day before this week where deliveries couldn’t be made. As a result, they were sending “feeders “to Indianapolis from Cincinnati, after the freeway had been closed. About 200 units became stranded in the snow, with some isolated for up to 2 months. Needless to say that policy was soon changed, after that, when a severe blizzard was forecast, everyone was pulled off the roads at sundown. Nothing moved until the following Monday, needless to say the highway department didn’t have the equipment to handle all the snow. Many areas were isolated, in some locations snow was piled up as high as 20 feet .The roads would be opened and no sooner than the snow plows went through, the wind would blow them shut again. Soon every farmer with a tractor and construction worker that owned a bulldozer had been hired by the state to help clean the roads. The local Dairy Queen housed about 200 stranded truckers and motorists. After they ran out of food, more food was air lifted in by helicopter. Most were stranded for over a week, that’s a long time to eat brazers and hot fudge sundaes. All in all , over 60 inches of snow fell that winter. It didn’t let up or thaw out until the last week in March, making it over two months that many people were isolated, many without heat or electricity. My grandpa had always talked about how bad the winter of ’06 had been.I noticed he had quit talking about ’06, so I asked him why.